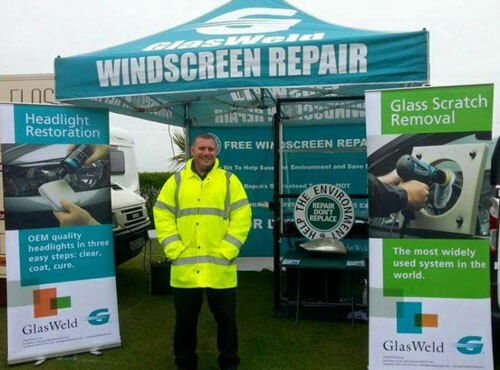 GlasWeld Franchisees will benefit from our strong brand and reputation, as well as a range of support services provided by our experienced staff. "I joined Glasweld in January 2014 and I can honestly say it is the best decision I have ever made.... You are your own boss, you work your own hours, the earning potential is uncapped and with the right attitude and a hunger for success you just can't lose.."
Exclusive territory with populations of Approx. 500 000. Protected by a master franchise agreement. 2 weeks intensive training and induction. World’s best equipment in windscreen repair, distortion free scratch removal and headlight restoration. Free first issue of corporate clothing and PPE. Corporate livery for a van that you can either supply yourself or rent from us. Full stationery package including business cards, sales folders, letterheads and all work related documents. Access to 400 national fleet accounts. 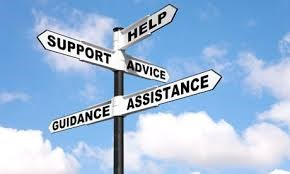 Field sales support to open new accounts as well as full admin and technical support. Referral work from head office and the internet as well as 0800 call centre numbers. All work invoiced and statemented on your behalf. Weekly payments to help with cash flow. Personal profile page on the Glasweld website. Free consumables to carry out all your work. GlasWeld provides top quality, patented tools and all equipment is designed with the operator in mind. GlasWeld operates in over 40 countries around the world making it not only a strong national brand in the industry but also internationally. To further support our commitment to industry leading quality, we annually sponsor the international Windscreen Repair Olympics conducted at Auto Glass Week. We are very proud that in three of the last four competitions GlasWeld Certified Technicians have won first prize. In house – Every new franchisee will be comprehensively trained by some of the most experienced and competent trainers in the industry. You will spend one full week at our dedicated training facility in Kent where you will gain certification as a GlasWeld repair professional which will include all aspects necessary to be competent and confident in your business. In the field – Once you have completed your classroom training your first week in the field will be with your respective Manager who will help you put all your new skills into practice. He will help you get your business up and running so you are earning money from day one. To assist in your sales and marketing efforts, GlasWeld’s marketing department has developed a complete line of support materials. Everything from business cards to invoices, from product brochures & fliers to banners and advertising. Accounts Administration - All your accounts administration will be done for you from billing your customers to chasing the money when due. Records of all work carried out by you, per customer, will also be kept so you can manage your customer base easily. Sales/Marketing - You will receive all corporate marketing and sales communication materials to help you build your business and develop market awareness of your services, from business cards, service brochures and letters to a personal page our corporate website. Any national account business that is acquired by our Head Office team that falls in you franchised area will automatically go to you and you will have the on-going support of a Sales Development Manager. We will also help you market your business vis Social Media and referral programmes. Our social media platforms are a continuing source of referrals and our pay per click facility, which GlasWeld pays for, ensures we are not too far from the top of popular internet search engines. We will also help with you other channels to market that are effective and efficient. Operational - all consumables and materials you will need to carry out your services professionally will be supplied to you from our Head Office store. We carry all the stock items and manage inventory levels so you don’t have to worry about running out of Stock.